Any holiday is a great excuse to get together with family. But when you don’t have a lot of family in your area it can be a good reason for a getaway. Easter weekend we took the girls on their first vacation. 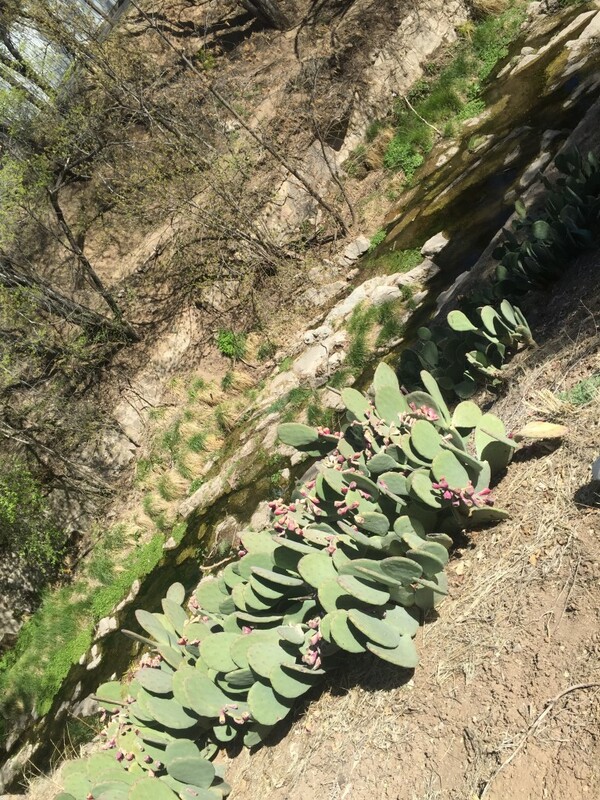 We visited the small New Mexico town of Silver City and Gila Cliff Dwellings National Monument. As excited as I believe we all were to get back to El Paso by the end of the excursion, it was a successful little trip for our family. Nothing went wrong. Everything went right. But as you’d expect, certain moments were sprinkled with a few extra tears here and there, and sleeping your entire family in the same room isn’t very restful. One of the highlights of the trip for me was the food. 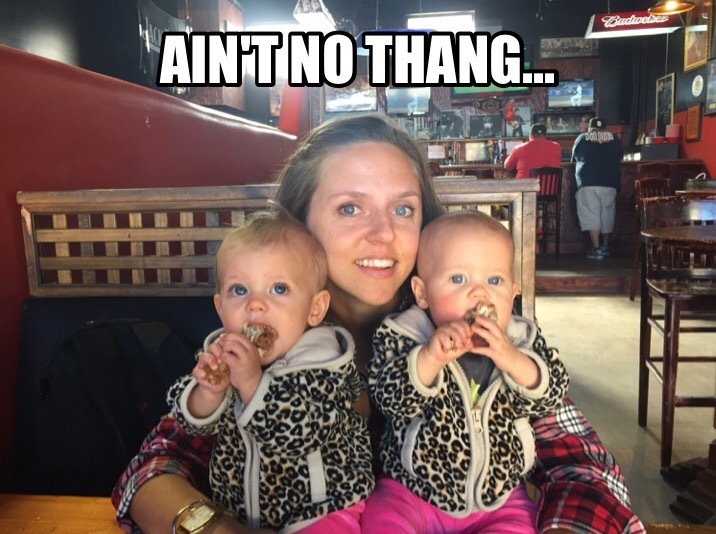 Since having the babies we haven’t dined out very much. No cooking or dishes for three days was a real treat. The first place we ate was Jalisco Café, because your first stop in New Mexico has to be Mexican food. Lunch at Jalisco was immediately fun. The girls were happy to be out of their car seats and sit in a high chair for the first time. After a couple of high pitched squeals of delight they were the café’s main attraction. When lunch arrived Phil and I could not resist giving the babes their first taste of beans and rice. I think vacation really inspires you to let your hair down. At home I am very particular about what I feed the girls. I make it all myself (from the finest ingredients of course) and regulate the texture and temperature. I find it comical that we weren’t even four hours into the vacation and I’m letting them try rice! Mixed and seasoned with God knows what! And refried beans from a can! Eight hours into the vacation and they were eating wings! And fish and chips! During these times I resolved that it was far more important that each member of our family (and everyone else in the restaurant) enjoy their meal than for me to be uptight. In addition to the great Mexican, there’s also a fun little brewery in Silver City called Little Toad, a coffee shop I enjoyed called Javalina, and a great bakery named Diane’s. Diane’s green chile, ham, and cheese croissant is the way I wish I could start all of my days. Another vacation highlight for me is meeting new people. There’s lots of interesting characters in vacation towns, and on this trip it seemed like they all wanted to meet the tiny babies with the blue eyes. This is important for the girls right now, as they have a tendency to cry at every new face. I think it’s the most annoying phase of babydom and I look forward to its commencement. On this trip we met a few people who were twins themselves, or had twins, or both. These individuals shared personal stories or lessons they found important to twin life. Particularly friendly were Flower and Rocker who had just driven into town from Las Vegas. (but they’ll be headed back as soon as their school bus-turned-home gets its transmission repaired.) Rocker and Flower weren’t twins, just a hippie couple still living the dream. And now I wasn’t there, but Phil claims to have encountered what he would describe as a punk rock prospector at the coffee shop. If you’re not on vacation for the food or the people, then you’re there for the sights. 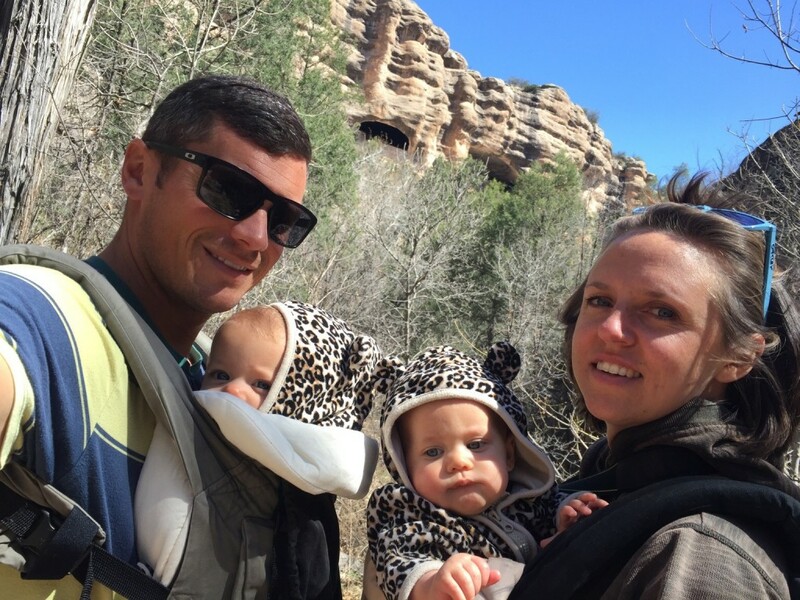 As I mentioned, we explored the Gila Cliff Dwellings National Park with the babes. They are only eight months and they’ve been to two National Parks. I’m proud of them. If you count all of the monuments, forests, and waterways of the system they only have about 400 more sights to go; and plenty of time. At the visitor center gift shop we purchased a National Parks Passport in addition to our usual grip of postcards. It’s a cute little book that contains information on all of the National Parks in the U.S. In it you collect stamps, known as cancellations, each time you visit a National Park site. I think it will be a fun, potentially life-long souvenir project for our family. And I hope it keeps the girls interested in educational vacationing. In order to give them a good perspective about why the cave dwellings were impressive, we stressed to the girls that while they were only eight months old the cave dwellings were 800 years old. That is a difference of 291,752 days. The caves were initially built by the Mogollon people around 1280. 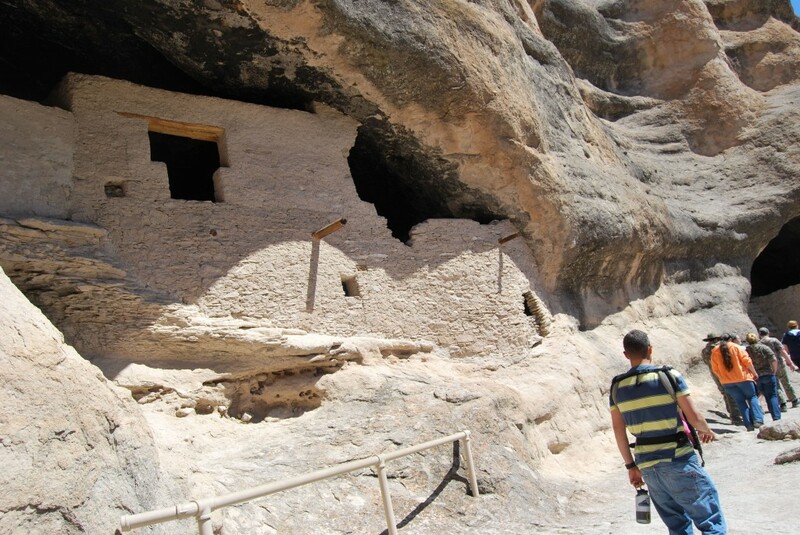 Archeologists were able to accurately date the housing because timber was used in the caves’ construction. By studying the growth pattern of the tree rings in the timber one can be certain of the time of its creation. The Mogollon migrated after about 100 years. Later the caves were inhabited by the Apache Indians. Evidence shows that the Apache migrated to the Gila River in the 1500’s. Geronimo was born near the Gila in the 1820’s. By 1870 the federal government was relocating the Indians to reservations. Geronimo is known for leading his people out. Archeologists arrived in this region around 1886, but it wasn’t until 1907 that President Theodore Roosevelt proclaimed the Gila Cliff Dwellings a national monument to prevent damage or vandalism to the area. We got lucky with our excursion to the cliff dwellings. It was the perfect place to take the babes. I’d recommend it as a destination for families with small kids, for sure. From Silver City to the Cliff Dwellings monument is about a 90 minute drive. It is a fabulously winding mountain road, each of its signs warning for a curve or cattle grates is ridden with bullet holes. I find it odd that they forget to mention on the website that you can use the street signs for target practice on your way through the park. Had I known we could have brought Phil’s Glock. Luckily for us, the road has captivating views so we didn’t feel the need for further entertainment. We traveled there during the girls’ morning nap. The hiking trail leading up to and around the cave site is an easy mile hike. We had plenty of time to enjoy it and picnic lunch before piling back in the car and driving back to town during the afternoon nap. 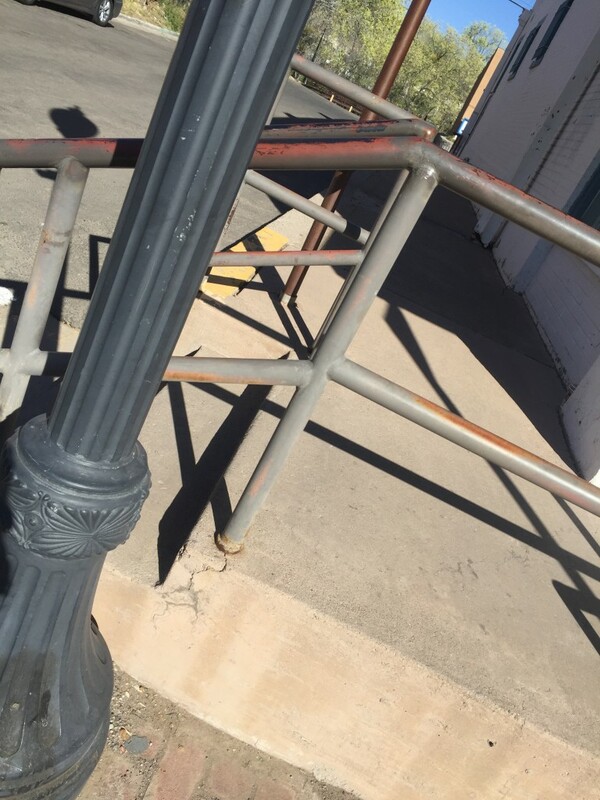 Silver City itself has a bit of interesting history and characteristics. It was a mining boom town set up by Captain John Bullard. The valley where the town was built in 1870 was originally an Apache campsite. William Bonney’s first two arrests were in Silver City by Sheriff Harvey Whitehall. This was before he was known as Billy the Kid. And his mother is buried in the Silver City cemetery. The town was built in the path of normal water runoff. Businesses sprang up, and the community thrived despite the inconvenience of minor flooding. The city was built with high sidewalks in the downtown area to accommodate high flood waters. But in 1895, a heavy flood rushed through the downtown business district, leaving a trail of destruction. What was once known as Main St. was a new 55 foot deep ditch. The businesses of Main St. began using their back doors as main entrances. Thus, the next street over, Bullard Street became the main street in town. To this day, the incorrect odd/even addressing conventions on the east side of Bullard Street are a reminder that the buildings were addressed on Main Street originally, not Bullard Street. We showed up back in town Saturday afternoon with plenty of time to walk around town again. Our first stop was Big Ditch Park (a 55 ft. ditch park) and what used to be the old Main Street before the flood took it out. The curbs around town are the largest I’ve ever seen. So large in fact, that there are steps at intersections. Which means there are also ramps at intersections. 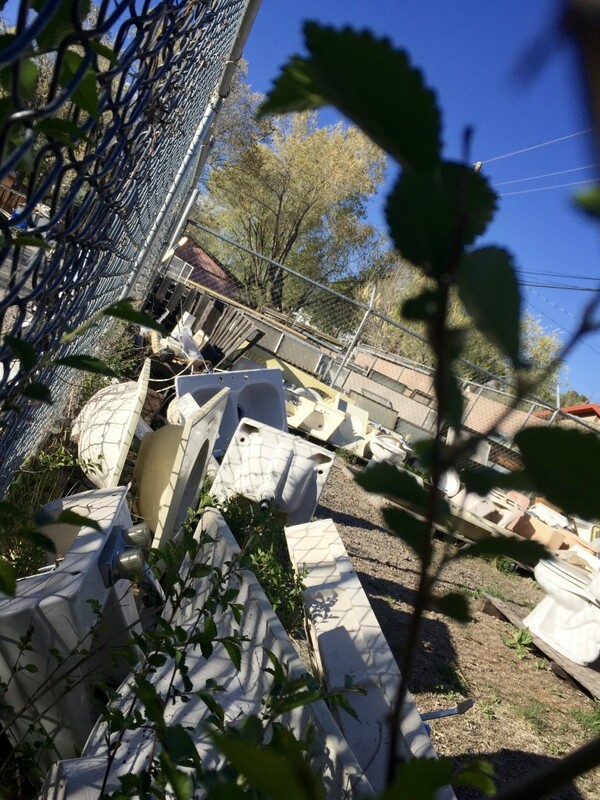 A bit of an odd attraction, but no less interesting, I also found Silver City’s toilet graveyard. Really it was just a salvage yard, but I was still impressed by the mass of porcelain laid out before my eyes in a very organized fashion. As I am learning, education, oddities, great food, friendly people, and good beer are to be found in any small corner of the United States. I am glad to be back and excited to be (finally) touring with the babes. It was their first long drive, first restaurant foods, first time sleeping together in the pack and play, first time wearing disposable diapers, and first time going almost three days without a real bath. All things considered I think they adjusted quite nicely. And if I had to guess I’d assume they are eagerly awaiting the next getaway. 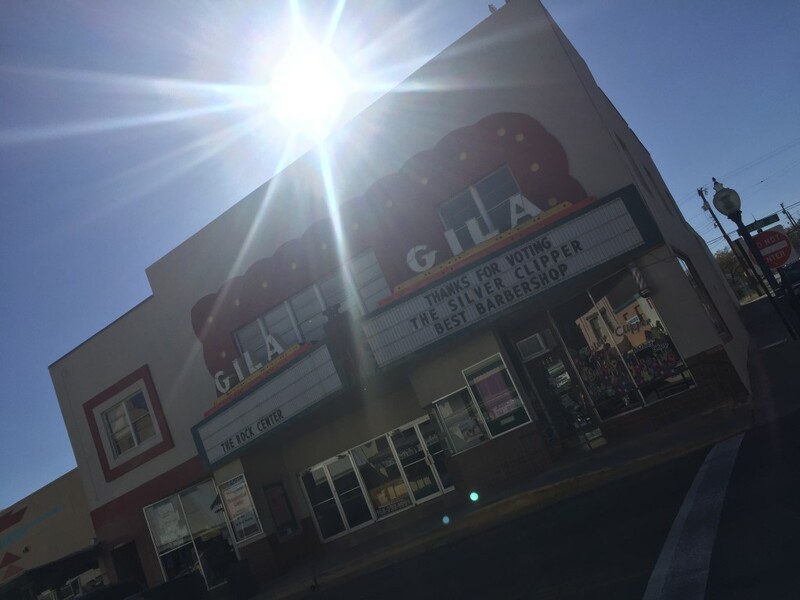 This entry was posted in Texas, Travels, Uncategorized and tagged Gila, Silver City, travel, twins.